for food, beverage, pharmaceutical and cosmetic industries. lubrication free air distribution system, maintenance free ball check valve system, and total visual inspection of the wet parts. hygienic design, made from electropolished stainless steel AISI 316L. the materials used on certain models comply with the FDA guidelines. The sandwich diaphragm has a completely plain surface, which eliminates bacteria growth problems. 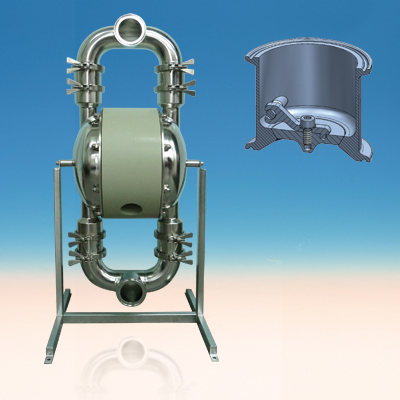 The diaphragm is available in food grade materials - PTFE or white EPDM. Both liquid side and outside is electropolished, to obtain superior finish and hygiene. 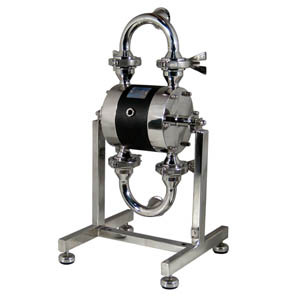 Connection: 1", 1½", 2", 2½"
Max Suction lift wet: 8 m.
The Sanitary series is particularly designed to meet the requirements of the food, beverage, pharmaceutical and cosmetic industries. Lubrication free, air distribution system, maintenance free ball check valve system, and total visual inspection of the wet parts. 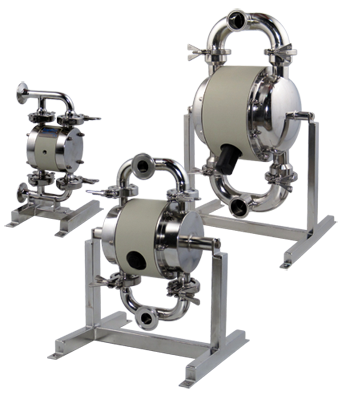 The Aseptic series pumps are designed for service in pharmaceutic-, biotech-, and food industries where a clean process is the key. It is EHEDG certified, FDA and USP VI approved materials and conform to the ATEX directive 94/9/EG. 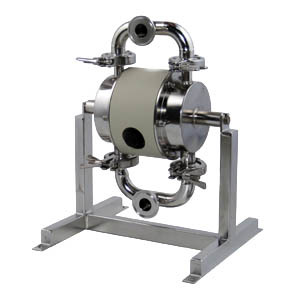 is used when the pumped product has to maintain a specific temperature, high or low, throughout the process. A heating or cooling medium is continuously circulated in the heating jacket. The jacket is covering all the wetted parts of the pump. is supplied as standard with TC clamp connections. 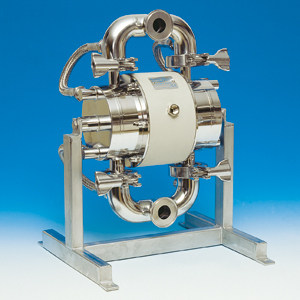 However, the pump may be equipped with almost any type of connection used in the hygienic field – DIN, SMS, RJT, ANSI, etc. Flap valves are available for the sanitary pumps, ideal in applications with bigger size and delicate solids. 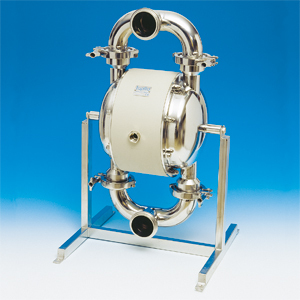 The gentle pumping principle will maintain solids without any destruction. 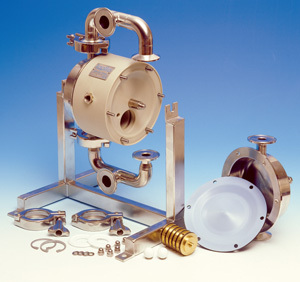 Available models with flap valves are T225 (38 mm solids max) and T425 (48 mm solids max).